Missouri plans to complete its $47.9 million portion of the 18.9-mile Bella Vista Bypass, or Missouri/Arkansas Connector, by summer 2022 as part of a project partially paid for with a $25 million federal grant the Northwest Arkansas Regional Planning Commission received in December. The Missouri Highways and Transportation Commission on Wednesday (March 6) approved a timeline to complete a 4.81-mile segment of Interstate 49, between Pineville, Mo., and the Arkansas state line. It also agreed to use a $25 million Better Utilizing Investments to Leverage Development (BUILD) federal grant to complete the segment. The project is expected to go to bid in spring 2020 for the four-lane divided highway with an interchange at Missouri Route 90, west of Jane, Mo. The next step is for the project to be submitted to the Northwest Arkansas Regional Planning Commission in order for it to be included in the metropolitan area Transportation Improvement Program, a four-year schedule of transportation projects for the area. The scope of the project is within the metropolitan planning organization’s planning area, which extends into Missouri. Tim Conklin, transportation programs manager for the commission, said the Technical Advisory Committee will discuss the project March 21 before it is reviewed March 27 by the Policy Committee of the Northwest Arkansas Regional Planning Commission. The existing project was set for 2022 in the Transportation Improvement Program but is expected to be moved to 2020 after the timeline was approved by the Missouri Highways and Transportation Commission. Conklin said the Policy Committee previously had pushed back the timeline because of lack of funding. With the funding in place, the project will be completed sooner than expected. Sean Matlock, project manager for the Missouri Department of Transportation (MoDOT), said because the environmental study was completed more than three years ago, MoDOT must review the study. That is expected to be completed over the next year before the project goes to bid. As part of the review, MoDOT will receive comment on the environmental study for the next 30 days, and Matlock doesn’t expect this impact the project. He said he’s not aware of any environmental changes within the scope of the project. With the BUILD grant, Missouri would be responsible for $22.9 million of the project to build the 4.8-mile segment, said David Mitchell, senior communications specialist for MoDOT. 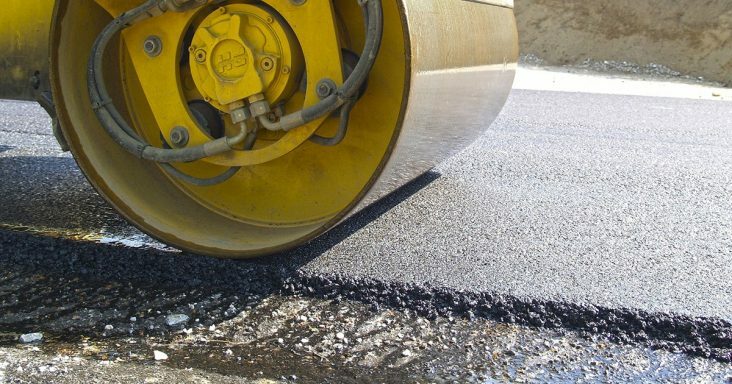 This project will allow for work to start on $86.6 million in road work in Arkansas, Conklin said, adding that would lead to the completion of $134.5 million of work in two states. The $86.6 million in work in Arkansas includes a new interchange north of Bentonville and the completion of the remaining 2.5 miles of the Bella Vista Bypass, from Benton County Road 34 to the state line. The work would be a part of the $1.8 billion Connecting Arkansas Program, which was paid for with a half-cent sales tax that’s set to end in 2023. Voters in November 2012 approved the 10-year sales tax to pay for the bonds in the program. Work on the previous two projects is expected to go to bid in July, with an expected start in November, said Danny Straessle, public information officer for the Arkansas Department of Transportation (ArDOT). A timeline for completion has yet to be set, but ArDOT expects the work to be completed within the timeline Missouri has set to complete its segment of the Bella Vista Bypass. Kolb Grading is working to complete 8.7-miles of the northbound lanes of the Bella Vista Bypass. The $27.5 million project started in January 2018 and should be completed in late 2020. Also, ArDOT looks to create an incentive for the interchange project, which would be a single-point urban interchange (SPUI) like the one under construction at Exit 85, spanning Rogers and Bentonville. The incentive would be considered for the interchange for the Bella Vista Bypass as it would impact traffic on U.S. Highway 71, Straessle said. U.S. 71 fills the gap between the completed sections of I-49 in Missouri and Arkansas, and about 50,000 motorists per day travel the highway through nine intersections with traffic signals in Bella Vista. Over the past 25 years, Missouri and Arkansas have worked to complete I-49 between Interstate 40 and Interstate 70, and when the 18.9-mile connector is complete, an uninterrupted 270 miles of interstate between Kansas City, Mo., and Fort Smith will be completed. Congress in 1991 designated the interstate as high priority corridor No. 1.